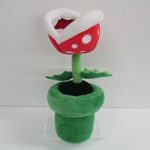 In the last few days, the Internet has been abuzz with the news of Piranha Plant joining Super Smash Bros. Ultimate as a fighter. 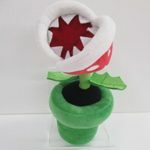 If you’re looking for some official Piranha Plant merch to purchase, how about considering a Piranha Plant plush? 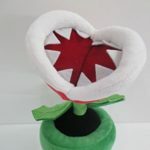 Sanei Boeki’s Piranha Plant plush, part of the Super Mario All-Star Collection released in 2015, is 9″ (22cm) tall. 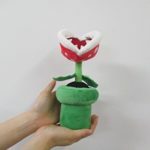 Unlike a real Venus Flytrap, the Piranha Plant is soft and cuddly, and will never bite your fingers off. 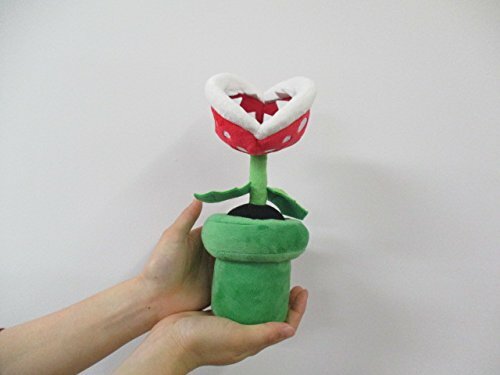 Bring home a Piranha Plant plush from Amazon Japan here (ships worldwide).